The Schnitzelburg Area Community Council is happy to introduce the Schnitzelburg Farmers Market! 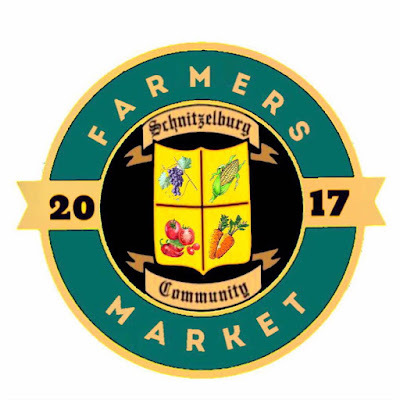 The first Schnitzelburg Farmers Market is tentatively scheduled for Saturday, April 1st from 10 am to 1 pm in the parking lot of The Cure Lounge (corner of South Shelby Street and East Burnett Avenue). Last month's closing of the Kroger in Old Louisville has helped ignite the push for a new urban farmers market south of downtown. Come April 1st, look for the Schnitzelburg Community Farmers Market to debut in the parking lot of The Cure Lounge on Shelby Street at Burnett. For food access, "Germantown and Schnitzelburg are under-served, especially with the closure of the Root Cellar," Field Day Family Farm owner Ivor Chodkowski said, adding that the new market could also serve Shelby Park, Smoketown and Old Louisville customers who might have shopped at that local foods emporium that recently closed up inside the Hope Mill building on Swan. Boot strap local food retail outfits remain dicey propositions. In Old Louisville, the three-year-old Belknap Farmers Market just called it quits after three years on the campus of the University of Louisville on Brandeis at Third Street. "UofL has had three great years of working with our farmers and vendors at the Belknap Farmers Market, but will not be having the market in 2017. We feel that with low participation and attendance, it is time for us to take a break," was the statement posted by organizers on the market's Facebook page last month. Shelby Street is the border zone between rapidly-gentrifying Germantown and grittier neighborhoods to the west. Located at 1481 S. Shelby Street and opened in 2014, The Cure Lounge ironically occupies a building that was once home to a neighborhood grocery and beer garden called Ziegler's Saloon and Grocery. When that business thrived more than a century ago, the grounds at Shelby and Burnett were described as "an artistic garden with...rows and circles of gorgeous and variegated plants..." according to a 1904 Courier-Journal article cited by the Schnitzelburg Area Community Council. Plantings in whiskey barrels will brighten the parking lot behind the bar, where the first vendors will be selling from 10 a.m. to 1 p.m., market organizer Andrea Estes Riegling said. Besides a coffee vendor, Germantown's JB Cakes will set up shop with signature cupcakes in 12 flavors and eight different types of frosting, bakery owner Jared Langdon said. "The Schnitzelburg community is a close knit community and a much younger crowd has moved in," Langdon said Wednesday. "We like being involved in that change." For a new market in early April, Field Day Family Farm will be offering spring greens as well as durable farm crops like garlic and dried beans, Chodkowski said. Look too for the Grasshoppers line of local-food-infused black bean mashup, pickles and pestos. Riegling, a chef, and Chodkowski are both collaborators in the line of Grasshoppers items that use fresh, seasonal, local crops. Alison Freels, owner of The Cure Lounge could not be reached for comment Wednesday. "I got really upset about the Kroger closing down in Old Louisville," Riegling said of the grocery that closed last month after 37 years serving customers at the corner of Second and Breckinridge Streets. "Why does our local food fate have to be in everybody else's hands? Why can't we know our farmers and help support our local economy?"